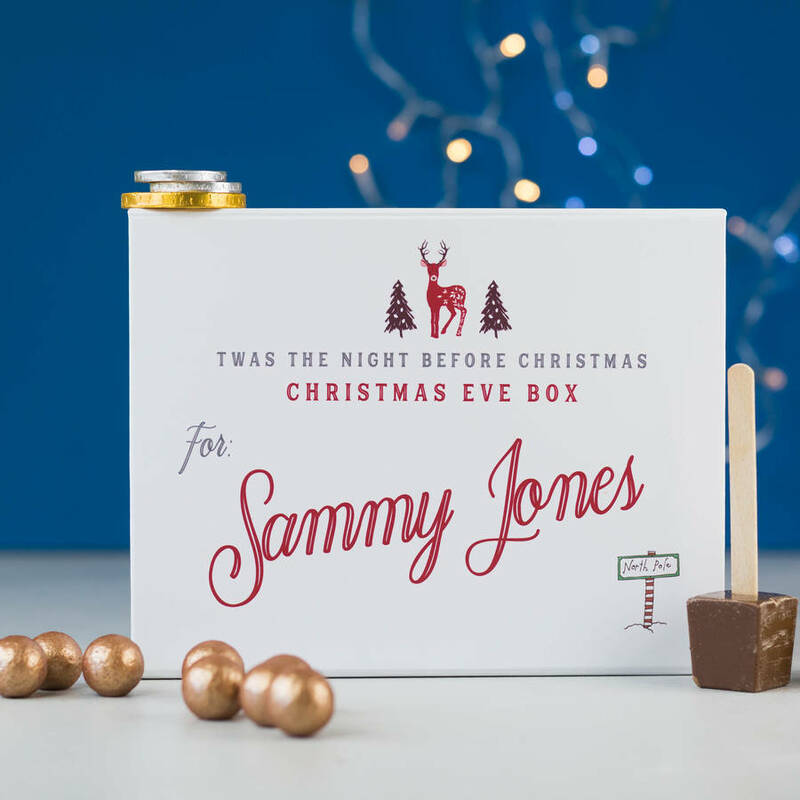 The Personalised Christmas Eve Box from Lou Brown Designs is a wonderful way to surprise your child the Night Before Christmas. 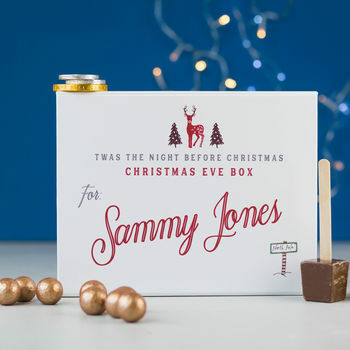 Create a wonderful Christmas Eve tradition with our Personalised Christmas Eve box, printed with festive illustrations and personalised with your choice of name, ready for you to fill. 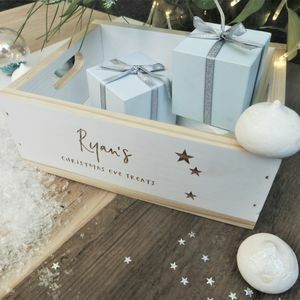 The Personalised Christmas Eve Box is a luxury laminated snapshut box with ribbon tab made with a high quality rigid board. 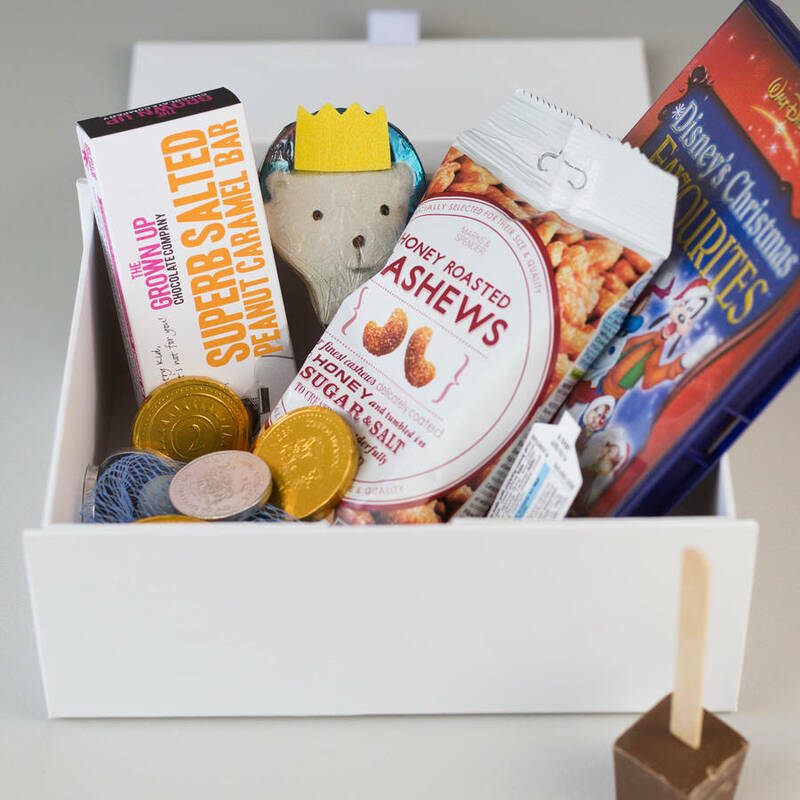 strong and big enough to be filled with a selection of exciting Christmas Eve treats, such as Christmas pyjamas, food for Rudolph, a Christmas DVD, lots and lots of sweet treats, maybe even a magic door key for Father Christmas! The design is printed directly onto the box for a high quality, permanent finish, ensuring the Christmas Eve box can be used every year. 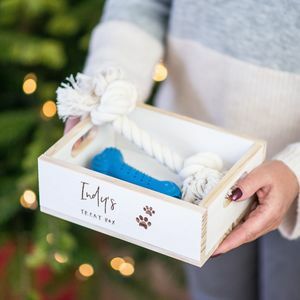 A thoughtful gift perfect for holding treats and keeping family traditions every Christmas Eve. 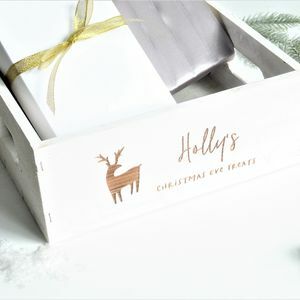 Personalised Christmas Eve Box is made with a high quality rigid board. 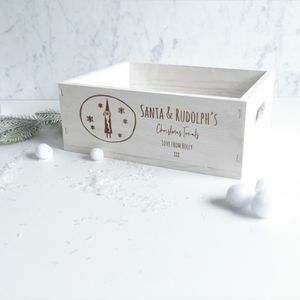 Personalised Christmas Eve Box measures 200 x 160 x 80mm.